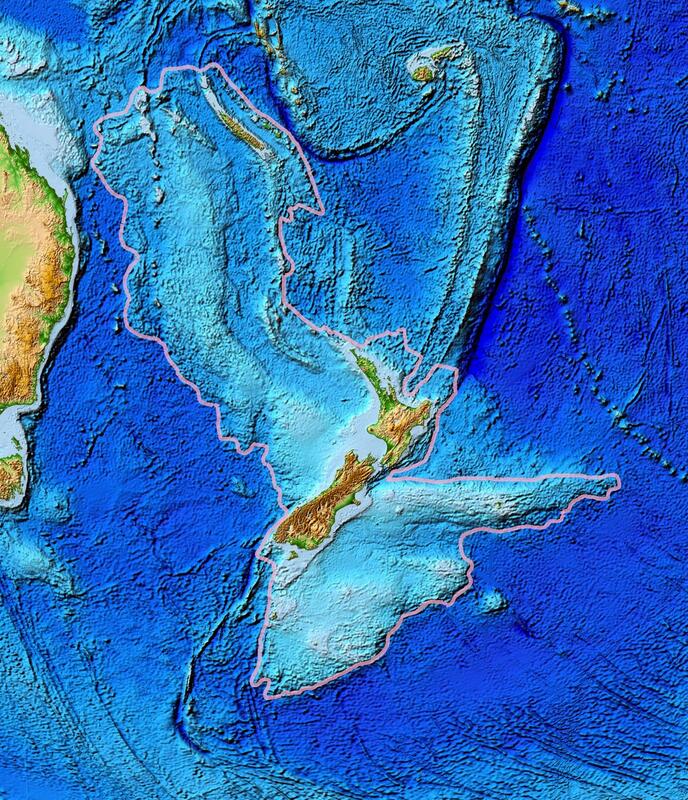 A group of geologists have redefined the land mass that sprawls beneath the islands of New Zealand as ‘Earth’s hidden continent’.­ Why hidden? Well, most of its five million square kilometres – two-thirds the size of Australia – lies beneath the Pacific Ocean. In the Geological Society of America’s GSA Today, the scientists argue that the land mass is more than just a collection of partly submerged ‘islands, fragments and slices’, or a so-called microcontinent, but a fully fledged continent. 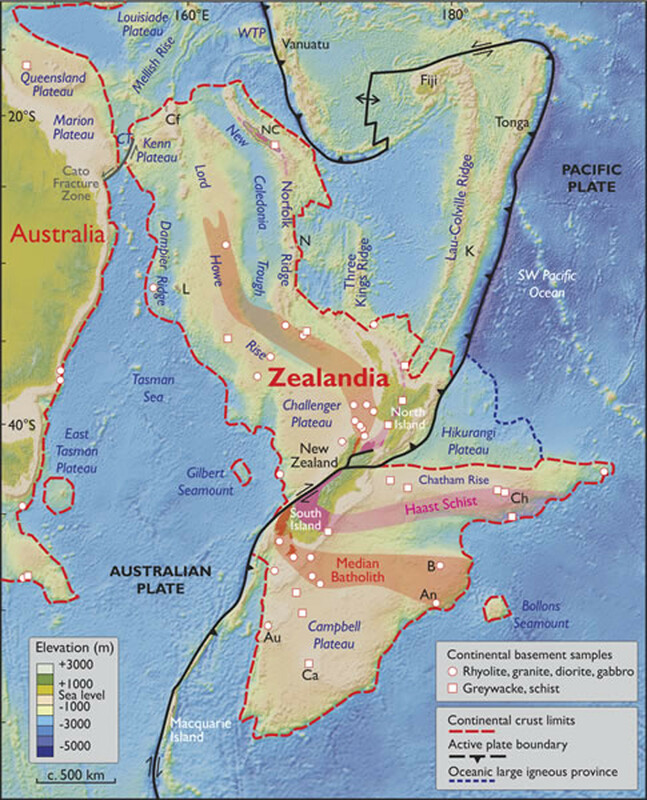 A simplified illustration of Earth’s tectonic plates and continents, including Zealandia. Zealandia is also known as the New Zealand continent or Tasmantis. It is an almost entirely submerged mass of continental crust that sank after breaking away from Australia 60–85 million years ago, having separated from Antarctica between 85 and 130 million years ago, according to Wikipedia. It has variously been described as a continental fragment, a microcontinent, a submerged continent, and a continent. Although Zealandia’s status as a continent is not universally accepted, New Zealand geologist Nick Mortimer has commented that ‘if it wasn’t for the ocean’ it would have been recognized as such long ago.